We are real people with an ability to connect to your loved ones in the spirit world. I was voted Australian Psychic of the Year in 2012 and Michelle was voted Australian Psychic of the year in 2015. Our work is often described as the most accurate and genuine in the country. So come along and be part of our world of spiritual and psychic connections. Tickets on sale at the club! 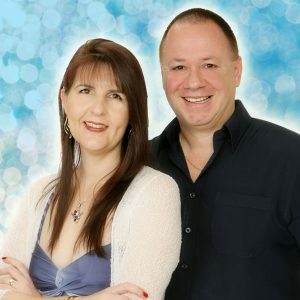 Australia's number one husband and wife psychic team are coming to Sholhaven Ex Servicemen's Sports Club! 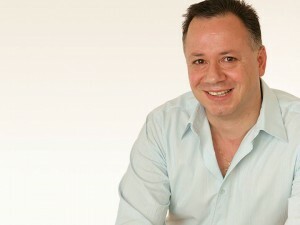 Both have been crowned Australian Psychic of the year - Ezio in 2012 and Michelle in 2015. Their amazing accuracy and connection to your loved ones in the spirit world will astound you. Limited Seating. I connect to your loved ones in spirit to show that they watch over you and continue to thrive in the spirit world. It's often uplifting, hilarious, tearful...moving. Join me as we cross between worlds in one of Australia's most historic and intimate venues. 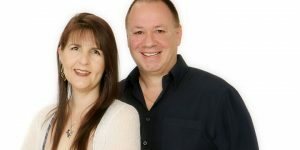 Australia's number one husband and wife team return to SJPBC for and unforgettable evening of real psychic connections. Book Today! This is our first time presenting our unique intimate and inspiring show at the fabulous Gloucester Soldiers Club. Call the club and book your seats today. We can't wait to connect as many people as possible to their loved ones on the other side! 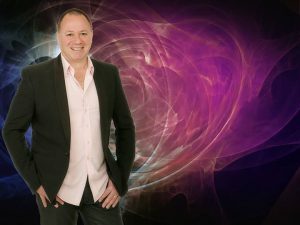 Australia's number one husband and wife psychic team return to the fabulous TBBC for an uplifting and exciting evening of psychic and spiritual connections! An intimate evening of spiritual mediumship in one of Australia's most historic buildings. Filled with gratitude for your support over many years, I can't wait to connect members of the audience to their loved ones in the Spirit World at Windsor RSL Club! Tickets only available here online! Click to buy yours! Following the success of our first appearance at this fabulous venue, we can't wait to visit again and connect as many people as possible with their loved ones on the Other Side! 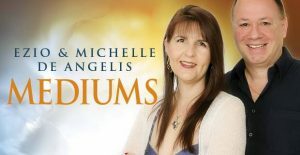 Australia's number one husband and wife psychic team return to the beautiful Central Coast for an inspiring evening of spiritual connections. "We are both looking forward to our annual Mingara show and will connect as many members of the audience to their loved ones in spirit as possible." 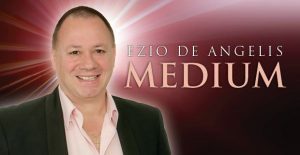 While Michelle enjoys a nice break, Ezio will be working hard connecting to your loved ones in the spirit world at Penrith RSL. Our first appearance at Penrith RSL Club was fantastic and I can't wait to do it again! Communicating with spirit returns to Wests Campbelltown. Join me as I connect to the other side and deliver messages of ,love, hope and inspiration to members of the audience. Book by phone or online! 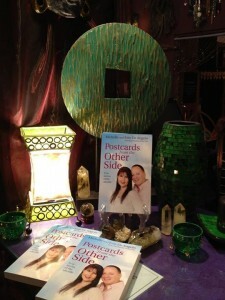 Join us for an evening of psychic and spiritual connections at Wests Illawarra! Voted Australian Psychic of the Year. "The best in the business!"